pseudoparanormal: Malaysian Airlines Flight 370 Abducted by Aliens? In the book I have been reading for my report, Why People Believe Weird Things, and in the book assigned to us for the class, UFO's and aliens are discussed. This intrigued me to look into recent news articles about UFO sightings. An article written in the International Business Times on April 23, 2014 shed light on a belief that Malaysian Airlines Flight 370 was abducted by aliens. Numerous bloggers on reason.com wrote that they had seen multiple UFO's around Malaysia before the Malaysian plane went missing. Alexandra Bruce, a Brazilian-American author and filmmaker, reported that there were two "distinct anomalies" detected on Flight Radar 24, the last air traffic control track of the aircraft, before the plane went missing. The blogger also wrote about a confirmation from Malaysian Air Force Chief, Rodzali Daud, that a signal was received by military radar from an unidentified flying object near the site of the plane's disappearance. I have doubts about this belief. 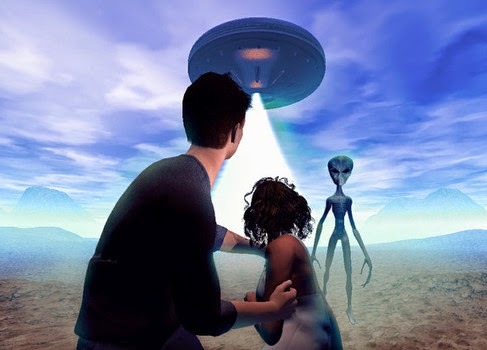 Although I do believe in life on other planets, I do not believe in "aliens" here, or that Malaysian Airlines Flight 370 could have been abducted by them. There is scientific evidence of the possibility of life outside of our planetary system, but so far, there is no credible evidence of the existence of "aliens" here. My personal beliefs and my understanding of current physics stem from those findings. You know, before I even read anything about this idea or saw your post, it did cross my mind.... that flight totally could have gone through an area over the oceans like the Bermuda Triangle, and could have been abducted by aliens. The reason I believe this or think of this is because our world has such advanced technologies that it is very unlikely that these professional scientists and search squads haven't found them after all this time! You'd think that our advanced military and other groups alike would have the time, care, and equipment (like radars, etc) to have found them! The only thing that would overshadow planet earth's technology is ALIENS. Their technologies are mostly likely more advanced than human technologies, so this plant probably is protected by some sort of alien forcefield that cannot be detected by human interference.